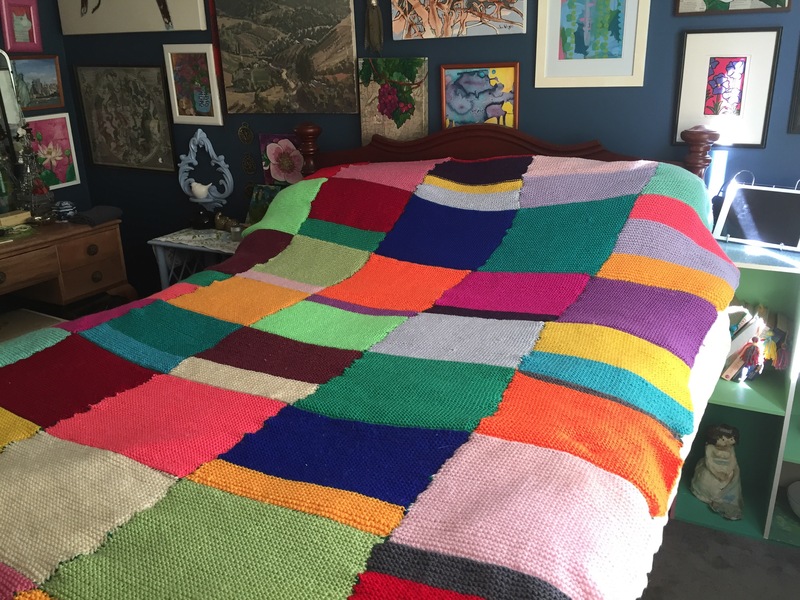 Three years ago, I asked my mum, who enjoys knitting, if she would knit me a patchwork bedspread. 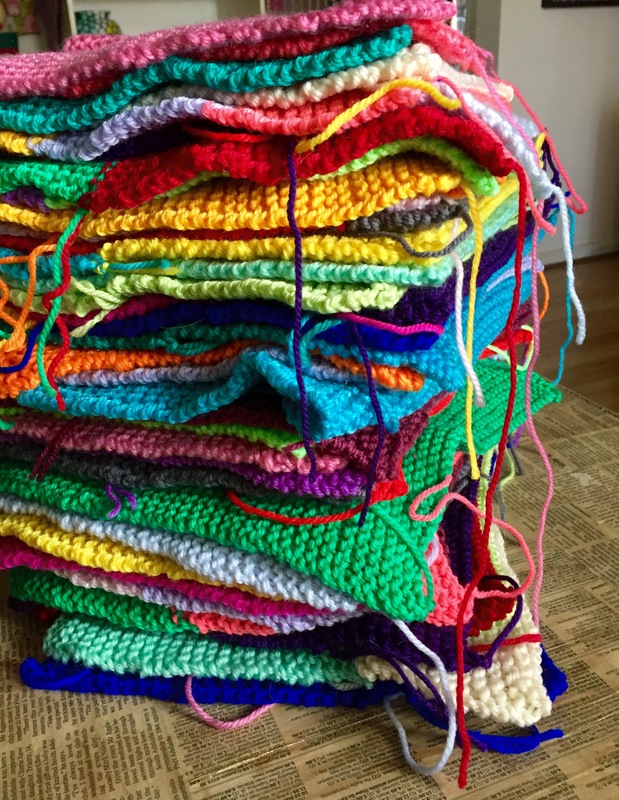 I gave her a massive bag of brightly coloured wool, and she set to work on knitting me some rectangles whenever she had a spare moment. This has been a massive task for her, and one she has had to do slowly, bit by bit, due to increasing problems with arthritis. Well, she finished the patches at last! 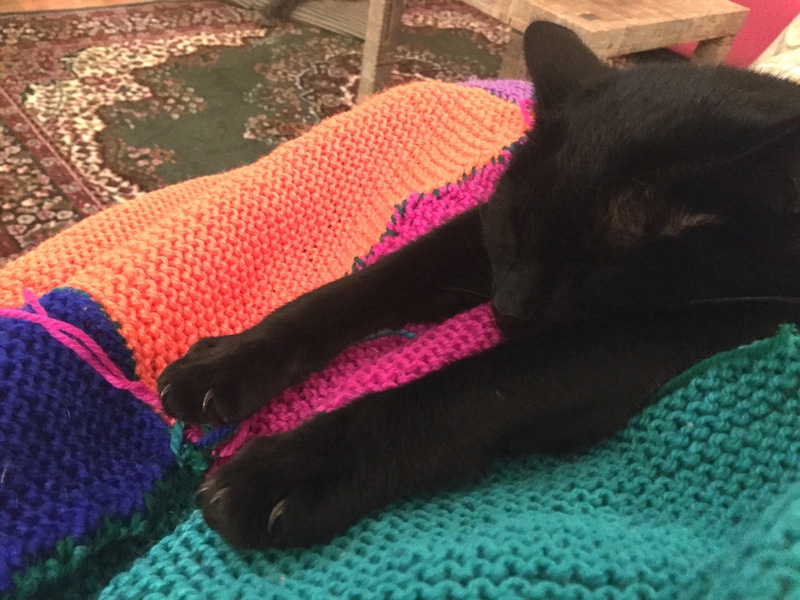 She brought them to me to piece together, as the arthritis has finally become bad enough that she couldn’t crochet or sew it together. 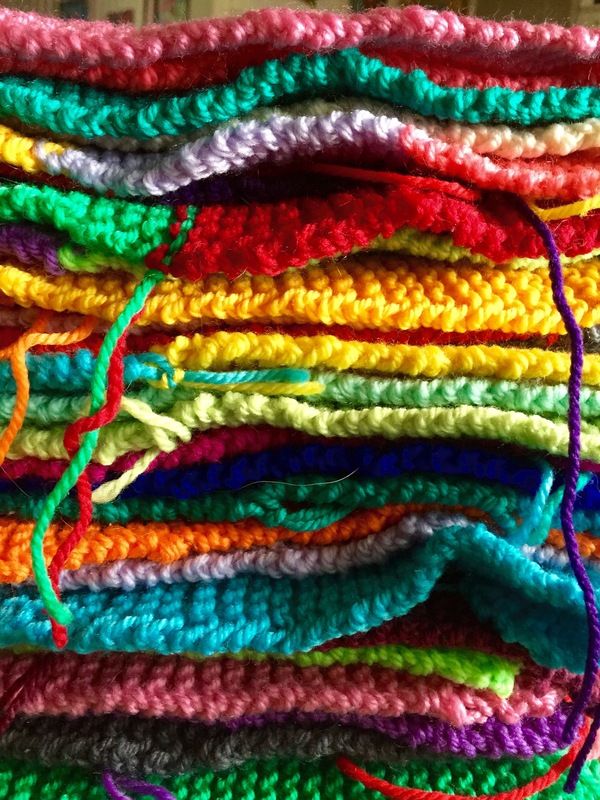 Now I can’t crochet, and my sewing skills leave a bit to be desired, but a week later, having spent the chilly evenings watching Orange Is The New Black (awesome drama: if you haven’t yet got into it, do yourself a favour, right now.) and sewing the rectangles randomly together with green wool. Nefertiti helped a lot by sitting on it while I worked…. And now I have a gorgeous, warm and cosy bedspread!!! Thanks Mum!!!! You’re a legend!!!! 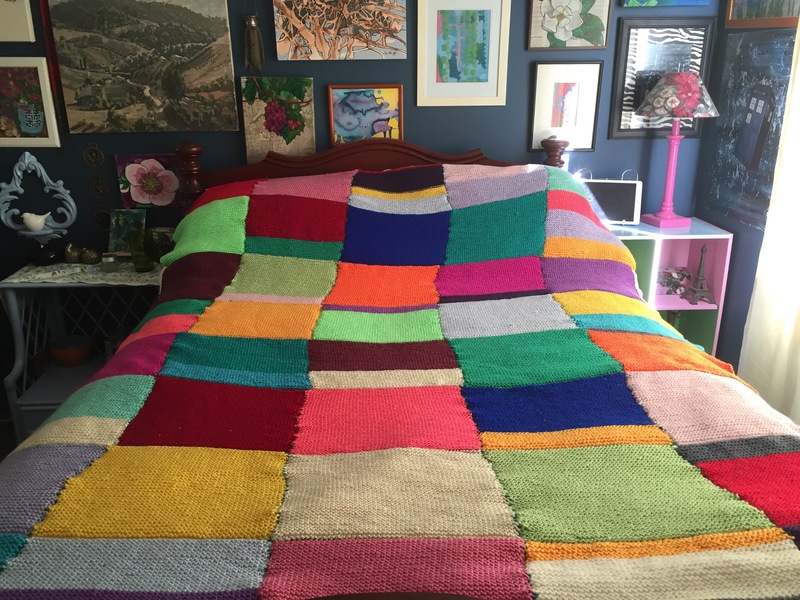 This entry was posted in Craft Projects, Home DIY and Decor and tagged bed spread, blanket, colour, knitting, patchwork, Rainbow. Bookmark the permalink.